As a "sister project" Disrupted Systems also challenges the Normativity of systems, but has a different approach than E/merging patterns. 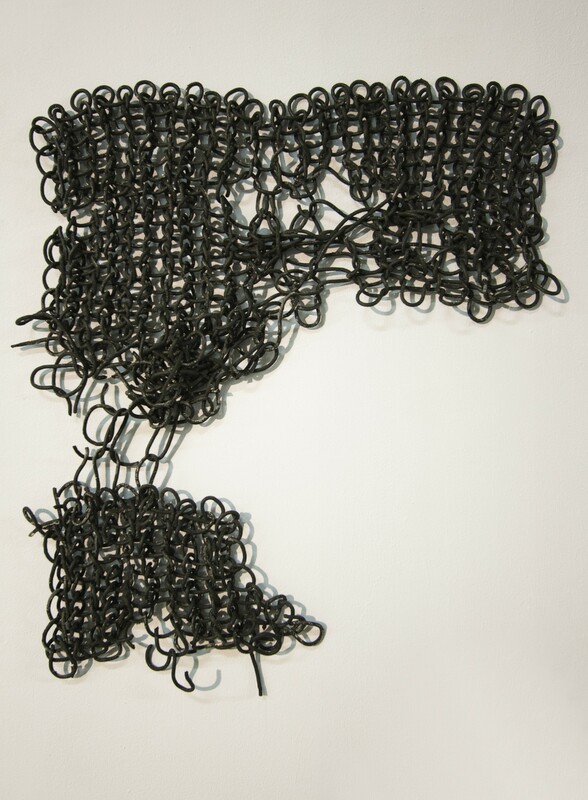 The artists draw parallels between human cells and knitted structures, as knit consists of a repetition and looping of stitches, all generated from a continuous thread which produces matter. The strength of Disrupted systems lies in their striking fragility and scrupulous creation process. The ceramic objects are knit from continuous clay thread: the regularity of repeated knots as well as the disrupted or ‘wild’ outgrowths consist in one and the same thread. Both projects demonstrate how art can make a significant contribution to an awareness of human physicality and vulnerability.